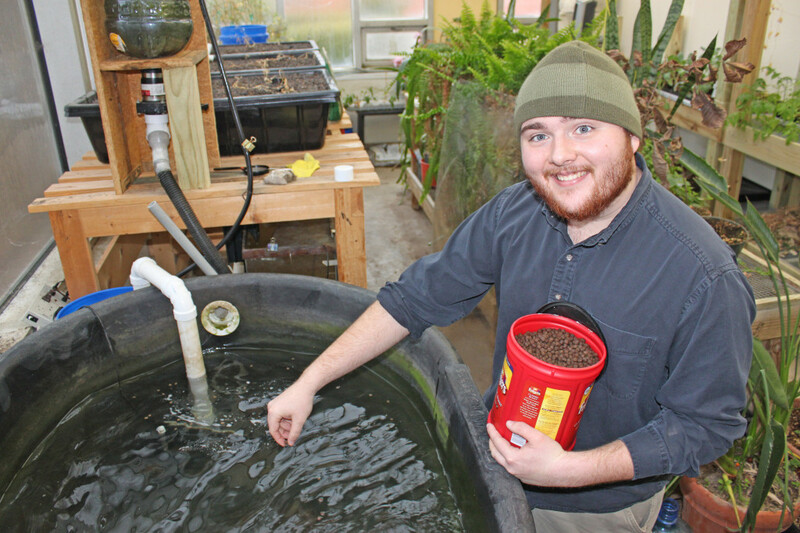 For more than a year now, the biology department at Williams Baptist College has been developing aquaponics systems and investing in students who will not only work on the project locally, but be able to use the biological system on the mission field. After all of the hard work, research and training that has occurred, a group from Williams will spend their spring break in Haiti, teaching locals how to build an aquaponics system of their own. When one of Hobbs’ classes began researching aquaponics, they discovered Morning Star Fisherman, a Florida-based organization that teaches people how to develop and use their own aquaponic system. Last summer, Hobbs took a group of Williams students to Florida to receive training on the biological process. “The purpose of our trip to Florida was to equip a team of students with the knowledge and skills to build aquaponic systems and the understanding that the ultimate use of this knowledge is to teach others how to fill the body with nutrients while being filled with the Holy Spirit,” added Hobbs. While the initial system is kept in a greenhouse adjoining WBC’s Sloan Center, those working with the aquaponics system are able to develop their skills through various outlets that have been constructed around Williams. Last spring, Bob Pingel, husband of Williams’ director of women’s residence Wilda Pingel, volunteered to help renovate an existing garage near the historic Commandant’s House on campus. This expanded workplace adds much needed to room to develop the project. “The biology station that Bob was instrumental in building will allow our students continued aquaponic training and will also be used to build and test aquaponic systems specifically designed for the needs of partnering missionary groups and their resource availability,” said Hobbs. Members from White Oak Baptist Church of Walnut Ridge, led by Pastor Doran Gregory, also gave of their time and resources to develop parts of the biology station. An outdoor system was needed, so people from White Oak aided in building a 25 feet by 35 feet concrete foundation and two cinder block grow beds. Sam Henry, a fisheries biologist with the Arkansas Game and Fish Commission, will also join the Williams team when they set out for theUniversity of Northern Haiti. Henry’s aquaponic system designs have been highly influential in the development at WBC and will also be used while in Haiti. Central to that passage is James 2:17, which reads, “Even so faith, if it has no works, is dead, being by itself.” The group of 14 heads for Haiti on Friday, March 21, and will return Saturday, March 29.